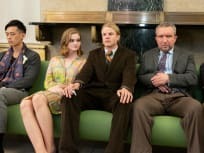 On Ray Donovan Season 6 Episode 12, the Donovans clean up their mess, while Ray settles his final scores and revisits the past with his father. 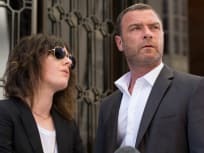 On Ray Donovan Season 6 Episode 11, running out of options, Mac faces a difficult decision, and the Donovans band together to save one of their own. 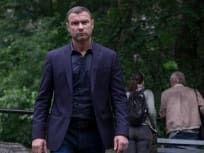 On Ray Donovan Season 6 Episode 10, the Staten Island cops take drastic measures with Ray on the run, and Sam makes her final move to win the election. 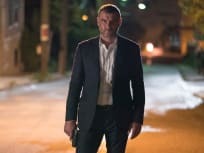 On Ray Donovan Season 6 Episode 9, Ray makes a move to save both Novak's campaign and Mac's life but struggles to get the help he so desperately needs. 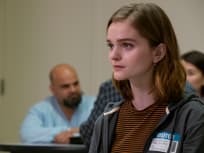 On Ray Donovan Season 6 Episode 8, Ray works to make things right with Sam, but she has her own ideas about how best to control the damage. 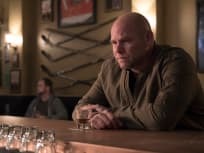 On Ray Donovan Season 6 Episode 7, Ray must choose where his loyalty lies when Mac lays all of his cards on the table, while Bunchy comes home to Boston. On Ray Donovan Season 6 Episode 6, a masked intruder makes a threat on Sam's life and in looking for answers, Ray uncovers more than he bargained for. 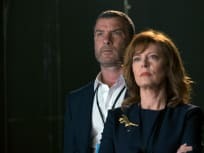 On Ray Donovan Season 6 Episode 5, Ray plans a day with Conor in before he ships out overseas with the Marines and Sam tries to strike a deal with Mayor. 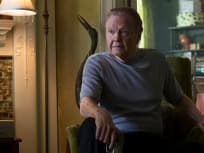 "No Blacks No Dogs No Irish"
On Ray Donovan Season 6 Episode 4, Mickey kidnaps movie star Jay White, and Ray has to get $3 million from Sam Winslow to get Jay back in one piece. "He Be Tight. He Be Mean"
On Ray Donovan Season 6 Episode 3, Ray is officially back working for Sam and needs to help Anita make a splash at the first mayoral debate.